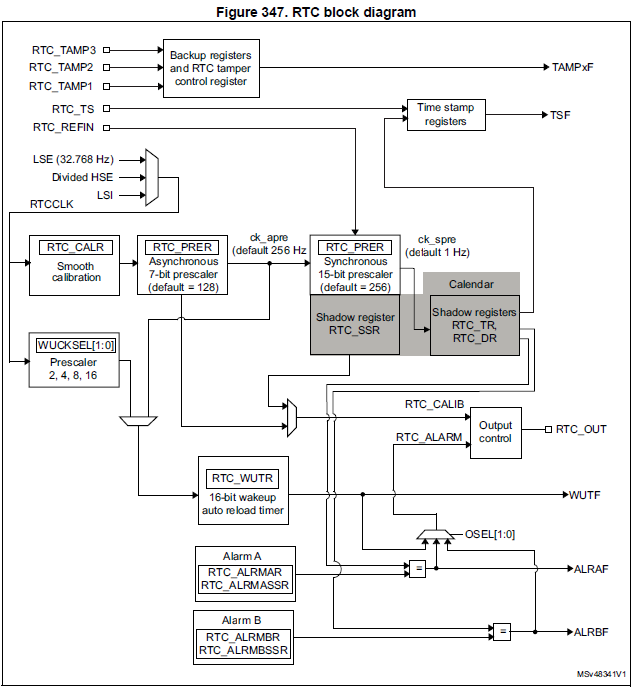 *                the configuration information for RTC. * @brief  Disable the write protection for RTC registers. * @param  __HANDLE__ specifies the RTC handle. * @brief  Enable the write protection for RTC registers. * @brief  Enters the RTC Initialization mode. *         __HAL_RTC_WRITEPROTECTION_DISABLE() before calling this function. * @brief  Sets RTC current time. * @param  Format Specifies the format of the entered parameters. * @brief  Sets RTC current date. * @brief  Reads data from the specified RTC Backup data Register. * @param  BackupRegister RTC Backup data Register number. * @brief  Writes a data in a specified RTC Backup data register. * @param  Data Data to be written in the specified RTC Backup data register.